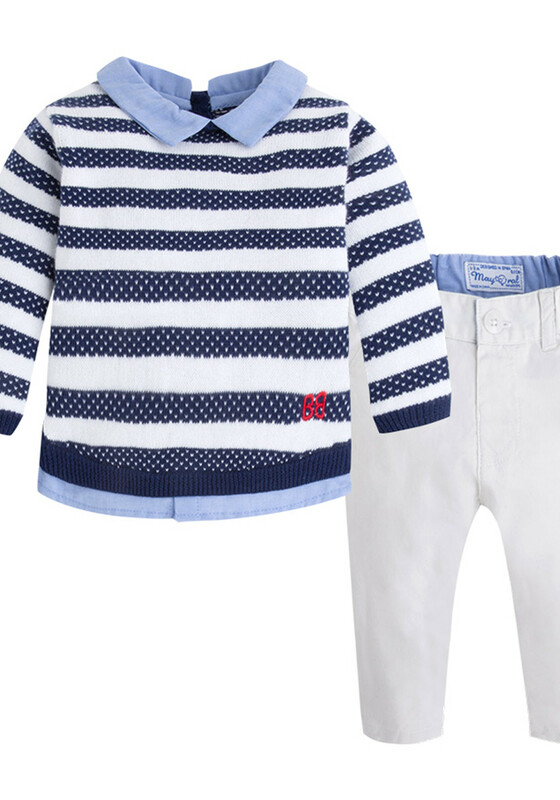 Your little man will look so cute in this gorgeous jumper and trousers outfit from Mayoral. 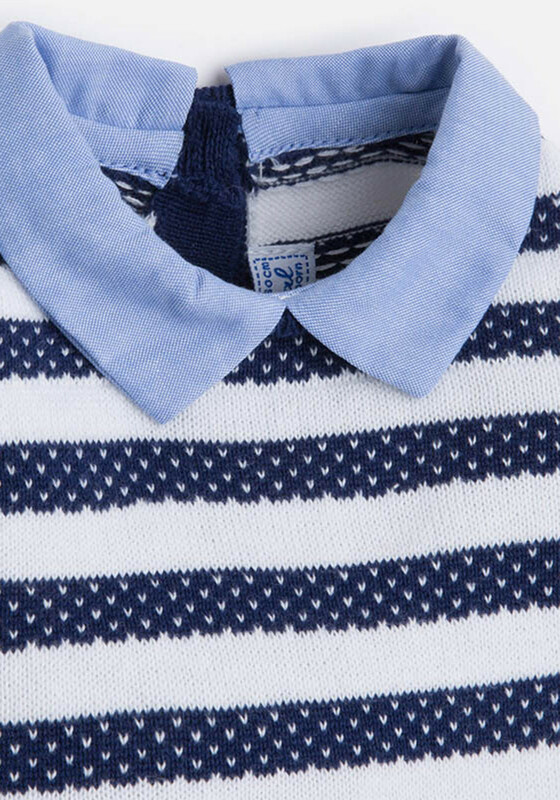 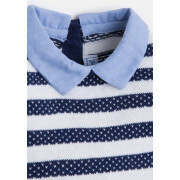 This navy and white striped jumper has chambray shirt detailing with a handy button up back which will be easy to wear. 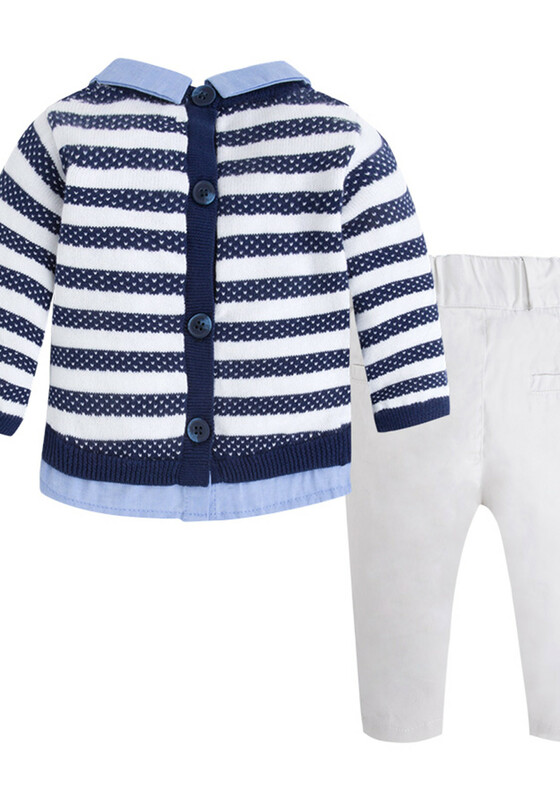 The beige chino trousers are so smart and crafted from 100% cotton.